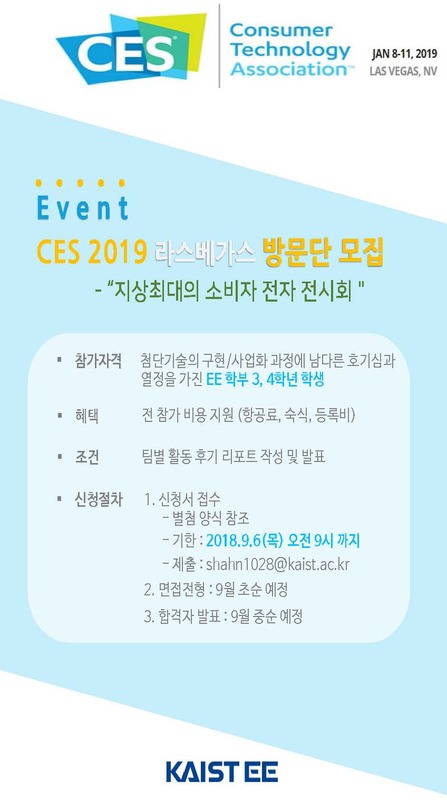 We are looking for CES 2019 Las Vegas exhibition visitors to our undergraduate students. The Consumer Technology Association (CES) is known as "the largest consumer electronics exhibition on the planet." If you are interested in participating in the program, please refer to the image below and indivisually apply for it by 9:00 am September 6 (Thu).